I am not usually a big fan of three or four bean salad but this is delightful. There is a tinge of sweetness to it that makes it over the top from other four bean salads I've tried. The dry mustard, basil and tarragon blend create a flavor that is unique and memorable. This salad is a perfect compliment for most main dishes and appropriate for any season. This salad is in a class by itself. The recipe calls for lots of canned beans. You'll need a good working can opener. Some of the other ingredients, such as celery and onion you can find fresh at the store of course. Fresh ingredients enhance this salad a great deal, especially the herbs. That's true for most salads. 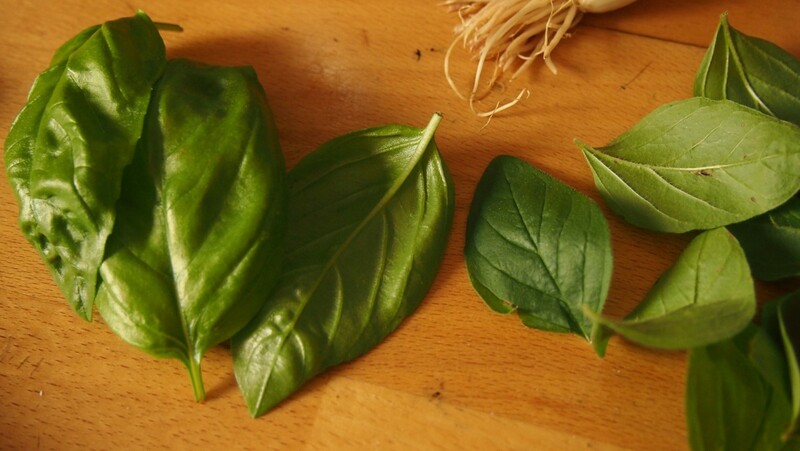 Nothing like fresh basil to send me into a fit of ecstasy. Fresh tarragon, fresh green beans, or any of the other beans if you can get them or if you grow them. These ingredients are common to the average vegetable gardener. I love fresh green beans and herbs. Green, red and yellow peppers are fairly common in gardens. I love green peppers but due to a medical condition I can't eat them anymore (sad face). The red and yellow I can tolerate and do enjoy. I also can no longer eat onions, but I always preferred Walla Walla Sweets. I live in the Pacific Northwest so they are pretty popular when they are in season. 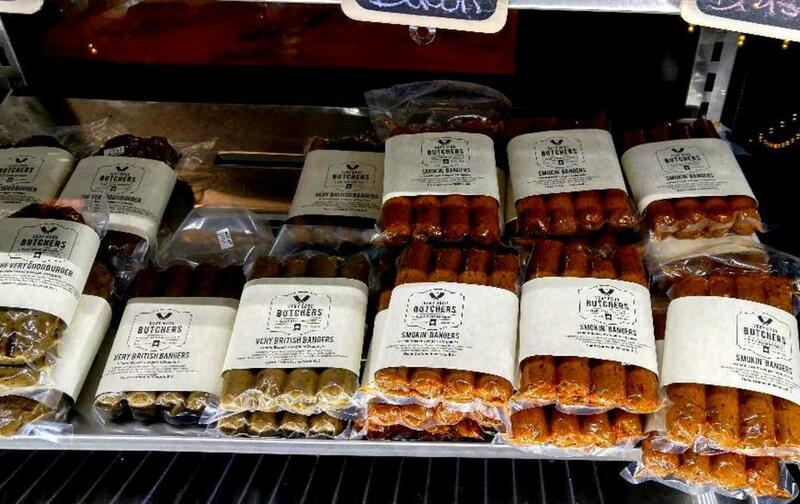 Freshly grown herbs, spices and vegetables are not only tastier, but healthier too. If you are a creative, ever experimenting cook, you will probably have other ingredients in your garden you'd like to try. This recipe in and of itself is very simple and there's lots of room for added or alternate ingredients. I personally don't care for wax beans. They are bland to me. I sometimes add cannellini beans and I once tried Simple Truth Organic ® Tri-Bean Blend which consists of kidney, pinto and black beans, tossed in with the green beans. I can no longer eat green peppers so I use red (already in the recipe) and yellow peppers. You can use other vegetables like asparagus, mushrooms, and/or grape tomatoes amongst other things. I also tried green onions once, before I had to cut all onions out of my diet, but I have to say for this particular salad sweet onions are best. 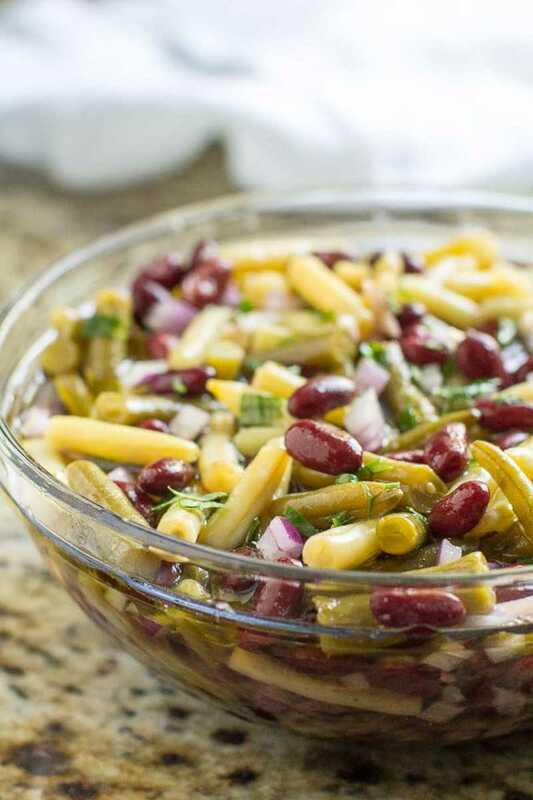 The sweetness is what makes this bean salad unique from other recipes I've used. Although I love sugar, it's very bad for our bodies in so many ways. When I get too much sugar I feel sluggish. I call it the carb coma. I use Stevia instead. I suppose you could try honey or agave as well, though I've never tried it. If using Stevia use less as it's more concentrated than sugar. Experiment and find what your taste buds and your body prefer. Delicious blend of kidney, pinto and black beans. Oranic, non GMO, nor artificial ingredients. Mix vegetables well in a bowl and set aside. Mix vinegar, oil, sugar, basil, dry mustard, and tarragon. Cover and let marinate for several hours or overnight, stirring several times. Serves 4 to 6 people. Pour over vegetable mix and toss thoroughly. Marination of the dressing is key to it's flavor. I've tried it without marinating and it's just okay. Okay is not good enough in my book, especially if your sharing with guests, so it's well worth the time. Along with using fresh herbs (if possible), the recipe also calls for canola oil. For a while canola oil got a bad rap as being unhealthy. But actually, canola is rich in monounsaturated fat and contains Omega-3 and Omega-6 fatty acids. 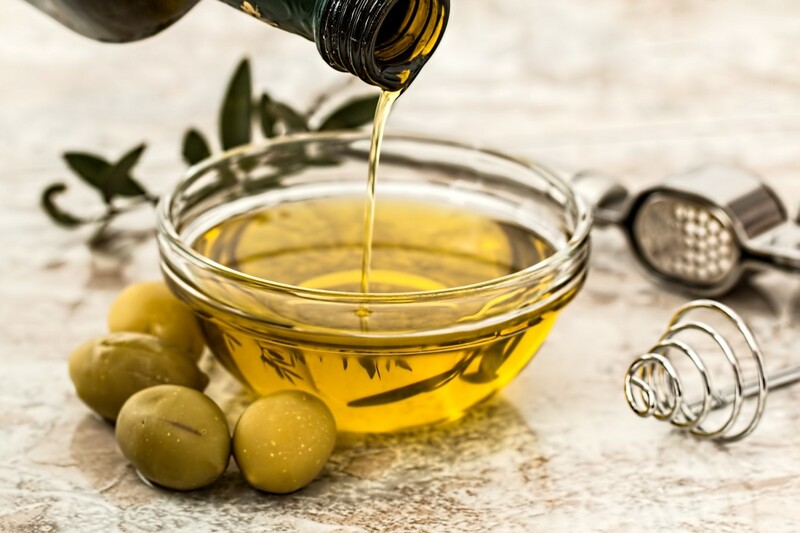 I don't experiment much with oils because I am on a fixed income and I can't afford to have my cupboard filled with various kinds, so I use olive or canola oil for most of my salads and cooking. Other options are avocado, grape seed, walnut, almond to name a few. The most heart healthy are oils rich in monounsaturated and polyunsaturated fat. Those named above fall into one or the other category. Choose what tastes best for you and what you have in your cupboard. I prefer the cider vinegar in this recipe but have tried the wine as well. You can always try balsamic. But I stick pretty close to the recipe because I enjoy the flavor just as it is. This salad is perfect for barbecues and potlucks, especially summer potlucks, so you want it to taste its very best. This dressing for this salad is so refreshing, even if you have leftovers and eat it the next day. Just toss it again and maybe add a little vinegar. Now, in the immortal words of Julia Child - bon appétit! © Lori Colbo 2012. All rights reserved. Hi HB, you won't be disapointed. Have fun. Yum. I do love beans of all types and bean salad, made well, is wonderful. 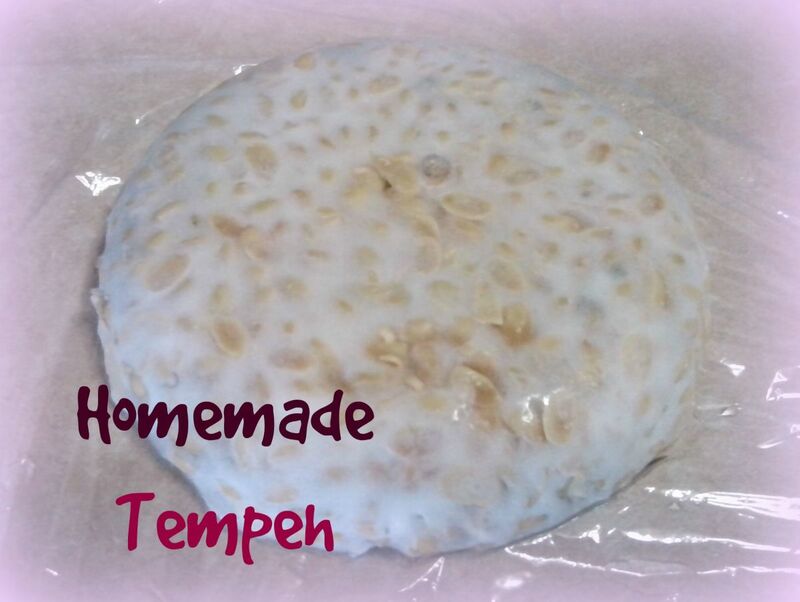 Your recipe sounds delicious and I shall try it this summer. We have lots of picnics because we hike into forests to see waterfalls. I could take this along in my backpack. Thanks for the great idea.